Build the structure using the incoming figures and make sure it will be stable when the last one come out. Plan your moves according to the next figure that is displayed at the top of the screen. Don't let any of the figures to fall down from the platform! 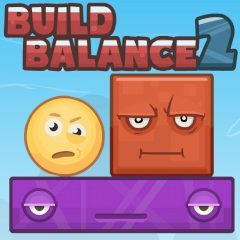 Build Balance 2 is the game for real architects who struggle to find balance in everything they build. Place the incoming figures that way, so they will remain stable when the last one comes out. Pass through the balance check and proceed to the next and more challenging level. Complete normal mode and try yourself at the difficult one. Can you find the way to connect them all?